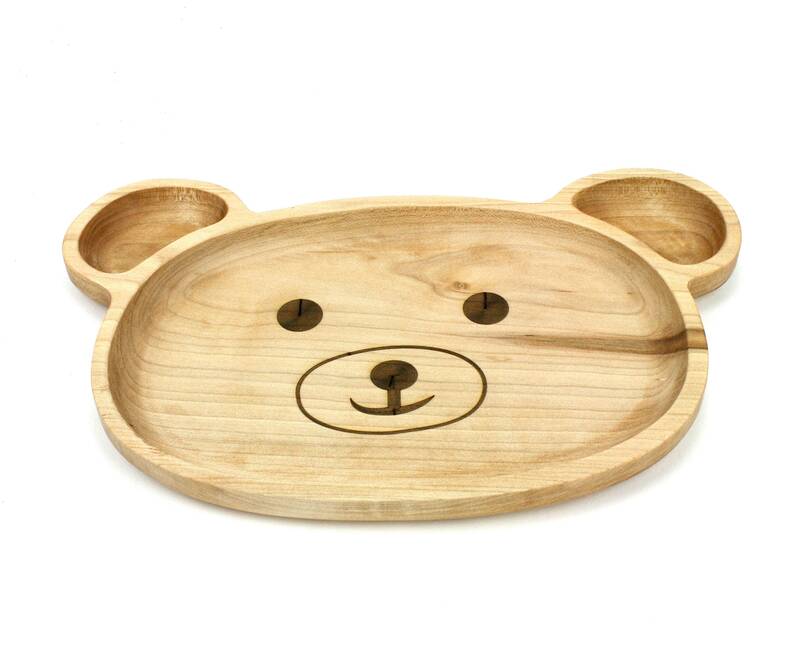 This listing is for ONE wooden kids plate, made from solid maple. 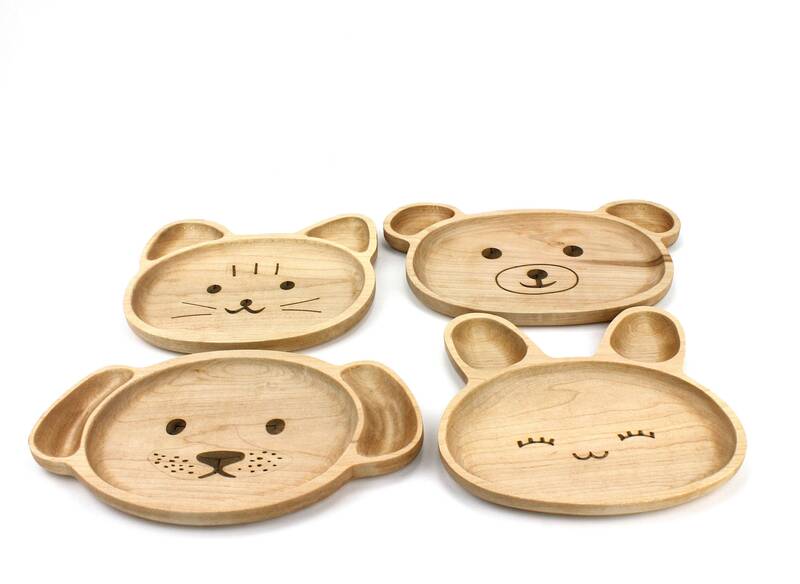 These plate make great gifts for the first grandchild or baby shower. Just the right size for little hands. Finished with Food safe oil, waxed and buffed. Food safe. 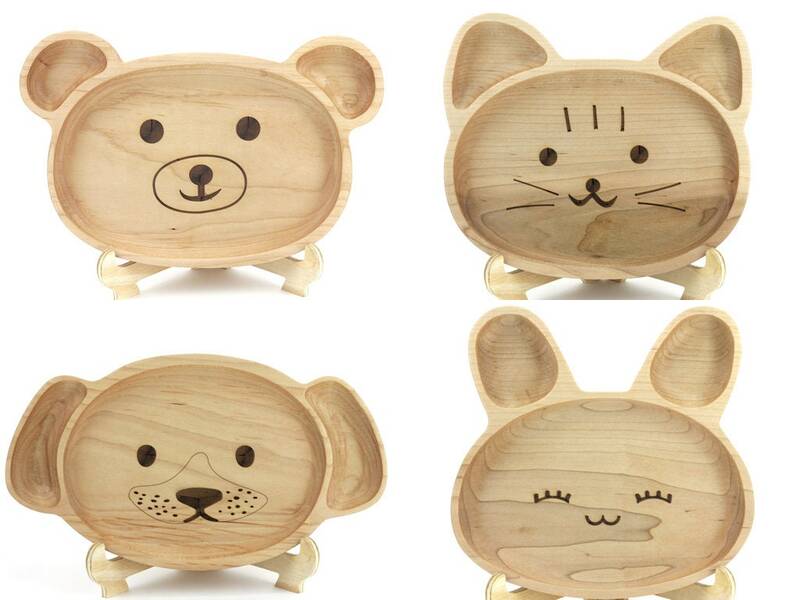 Because they are made of wood, each plate may vary slightly with grains and color of wood. 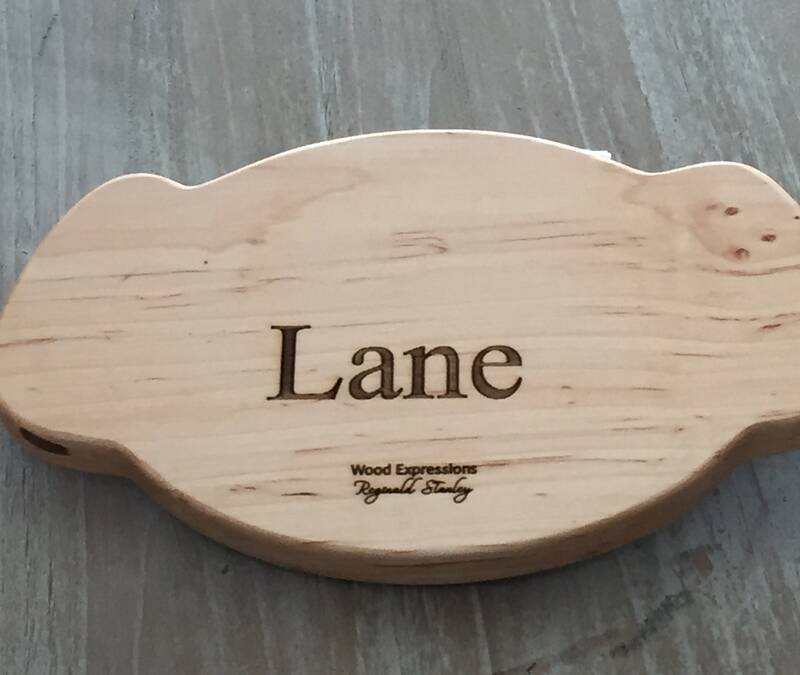 We can do custom orders if you need more than one of the plates listed or you would like your child's name on the back. Hand wash and dry with dishcloth. Never put in a dishwasher or a microwave. 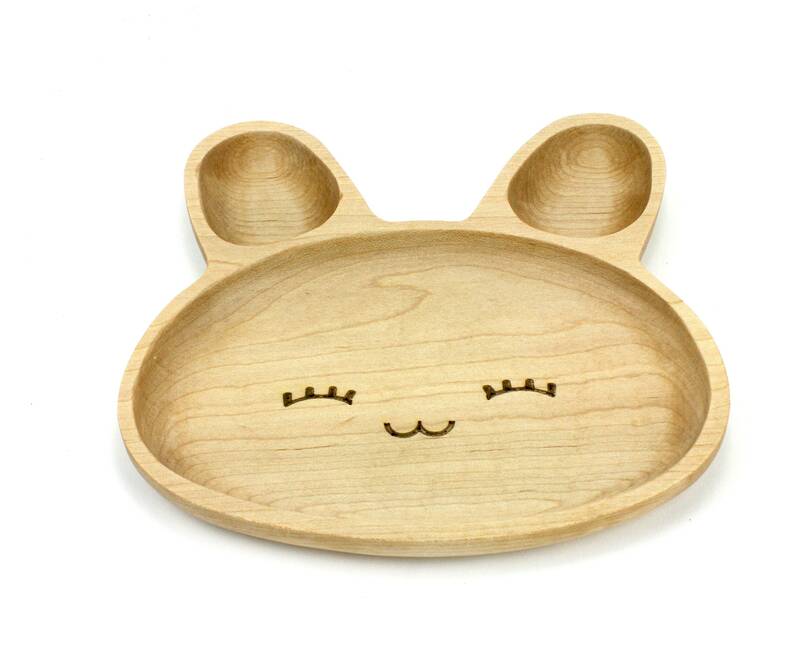 The Dish(face) Measure approximately(without ears): 8” wide and 6” tall. The bear runs a little larger and the bunny runs a little smaller. All our items are one of a kind and made entirely of salvage or down trees. None are exactly the same, and any slight imperfections are an affect of the handmade quality. 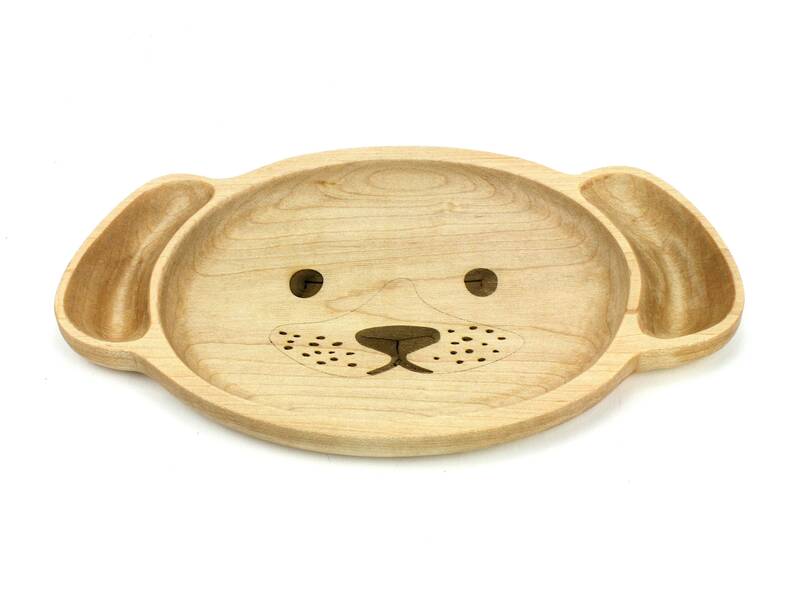 This wooden plate is beautiful! Thank you! The plate is SO cute! There was a little misunderstanding with my order, but the owners took the high road and were very kind to me. I appreciate their fantastic customer service, and my son LOVES his new plate. 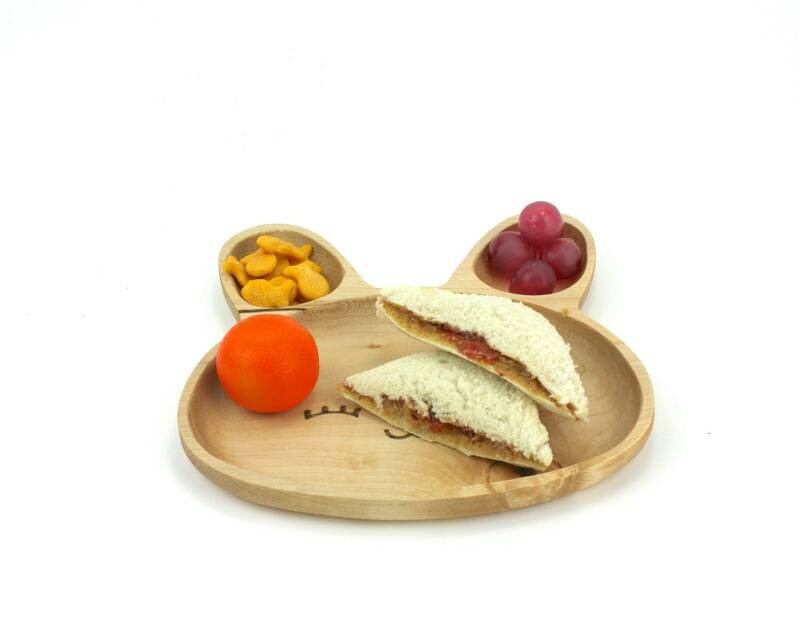 It's cute, very nice quality, and shipped out quickly. I will probably order more later. thx! 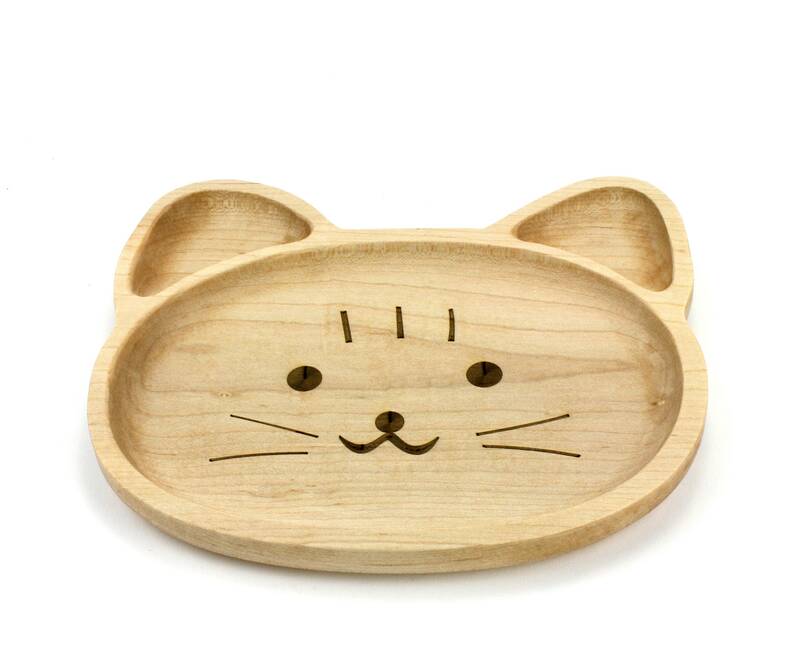 very well made, my daughter really loves to use it. 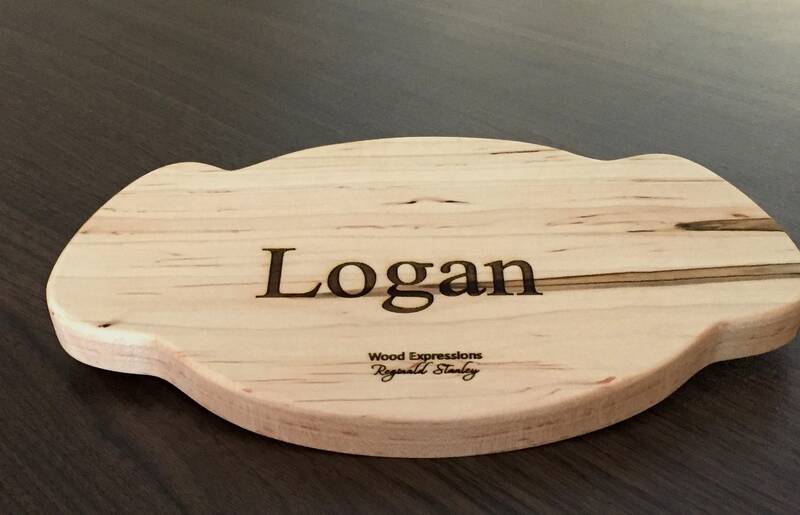 I bought this for a friend's first grandchild along with a wooden spoon! They loved it!